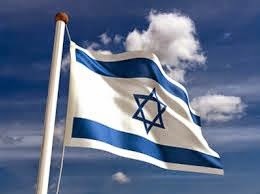 Today is Yom Ha’azma’ut – Israel Independence Day. It is 67 years since Ben Gurion announced the establishment of the State of Israel, on the Hebrew date of Iyyar 5, which that first year corresponded to May 14. (Today is only the 4th of Iyyar – celebrations were moved up to avoid Shabbat desecration). Its words are of enormous significance – in terms of the recognition of our historical and legal rights to the Land, our readiness to include Arabs in peace, and a great deal more. Many of the illustrations that accompany the reading are enlightening as well (Ban Ki Moon towards the end notwithstanding). When Ben Gurion announced independence, the people were already at war, for the Arab nations were determined to destroy the Jewish State at its very inception. The population of Israel at that time was 806,000 - many were bone-weary refugees from the Shoah; they had to conduct their war of self-defense with meager weaponry. It didn’t look good. But we prevailed, just as we have prevailed in every war since, sometimes astoundingly so. Not only have we prevailed against every enemy intent on destroying us, we have managed to grow and flourish at the same time. Today our population is 8,345,000. The Jewish population is 6,250,000 (74.9% of the total population), making Israel now the largest Jewish community in the world. The Arab population is 1,730,000 ((20.7%), and the remainder are non-Arab Christians and members of other groups. Some 176,000 babies have been born in the last year, and 32,000 have come to Israel. I site here commentators who have, over the last couple of days, celebrated Israel’s successes. “Israel has become a veritable economic powerhouse, emerging as the second-largest country (after the US) in high tech and start-up facilities. We overcame our water problems via an extraordinary desalination program. And now we are effectively energy self-sufficient, and will even be exporting surplus gas resources. “...our social welfare structure and in particular the medical systemprovides outstanding services for all Israeli citizens without discrimination. “...In the spiritual realm, we have also reached new heights. Israel is now home to more yeshivot than have ever existed at any time in all of Jewish history. On any given day, more Torah is being studied than ever before, more pages of Talmud are being scrutinized, and more Jews are visiting sites such as the Western Wall and the Cave of the Patriarchs. To this I want to add Israel’s incredible propensity for lending assistance to other nations in times of hardship and crisis. There are Israeli teams working with drought-plagued Africans to improve irrigation techniques for better agricultural yield, Israeli doctors seeking to ameliorate disease in struggling corners of the world, Israeli rescue efforts in times of earthquake and tsunami. In this sense, too, we are very much family – people reach out even to strangers with advice and assistance. Israeli society is exceedingly child-friendly, as well. I was astonished, and delighted, to see, when I first came here, that parents bring babies and toddlers to weddings, which is fine for all concerned. Jews in Israel have a considerably higher birthrate than Jews of other lands – babies are an intrinsic part of all that goes on. And what better indicator of hope for the future than making babies? How has all of this happened? There is a reason why Yom Ha’atzma’ut begins with a special prayer service that includes Hallel – psalms of praise to the Almighty. Without the Hand of Heaven, we could not be where we are. Above I wrote about the increase in the Jewish population here over the years. I believe this is a step in the Ingathering of the Exiles – kibbutz galluyot, spoken of by prophets and rabbinic sages alike. Jeremiah (29:14): "I will...gather you from all the nations and from all the places whither I have driven you… and I will bring you back." The Talmud states that "the day of the Ingathering of the Exiles is as great as the day on which heaven and earth were created." And so, my friends, open your eyes and SEE THE MIRACLE. Embrace it and broadcast it. Note: I provide links to specific videos. What sometimes happens is that they are followed automatically by others that may or may not be of interest to you, but which I have neither endorsed nor recommended. Technorati Tag: Israel and Yom Haatzmaut.